Popular among teens and adults alike, a typical adult-size ATV can weigh in excess of 750 pounds and can travel as fast as 75 miles per hour. Even when operated properly, when accidents occur they often result in extremely serious injuries, sometimes fatalities. The US Consumer Product Safety Commission reports that there are about 650 deaths and 100,000 injuries every year involving ATVs. Additional information can be found at the ATV Safety Information Center. 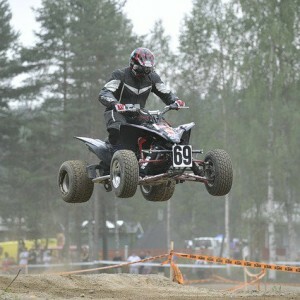 Have You Been Seriously Injured in an ATV Accident? While safer than motorcycles because of the four wheels, ATVs have a higher possibility of rolling over when accidents occur, throwing a driver off the ATV and even pinning him or her underneath it. Without the protection of a roof, ATV rollover accidents often lead to catastrophic injuries. The attorneys at Nash & Franciskato Law Firm understand the physical, emotional, and financial consequences that can occur as a result of your accident, which is why we focus the energies and skills of our entire legal team on helping you make sound, informed decisions. If you or a family member has been seriously injured in an ATV accident, you need a Kansas City auto accident attorney who will fight for your rights. Contact us for a free, no-obligation review of your case. Can someone under the age of 16 legally drive an ATV in Missouri? No person under the age of sixteen shall operate an all-terrain vehicle in this state unless such person is accompanied by and under the direct supervision of a parent or guardian or is accompanied by and under the direct supervision of an adult who is authorized by the operator’s parent or guardian to supervise the operator. This subsection shall not apply on private property owned by the parent or guardian of such person operating the all-terrain vehicle.